All of our nights are amazing! That's why you can book any night of year with us. BUT THE BEST NIGHTS ARE the ones we call "BRYCE NIGHTS!" 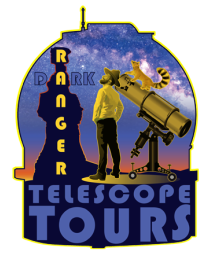 Use the schedule below to plan your telescope tour so that you don't just have a nice night with the Dark Rangers. Plan ahead so you can enjoy a "Bryce Night!" Once you picked your "Bryce Night" book that telescope tour here, or follow this link if you would prefer to book a private tour. ﻿If you found this page you are the kind of person that seeks out the best. You might also be a seeker of explanations -- if so keep reading. But if you are just the kind of person who accepts advice unquestioningly, than you can save yourself 1-2 minutes by JUST matching-up the color coding in the calendar below for quick answers. Winters are cold in Southern Utah at 6,500 ft (2000m) but if you can handle the cold [Midnight temperatures range between 15F (-10C) and -10F (-23C), you are going to be rewarded with amazing sky. Cold air holds less water and since water molecules can disrupt starlight, winter sky is the most transparent revealing detail in deep space objects you simply can't see in the summer. Unfortunately almost 60% of winter nights can be cloudy. However if you can stay in the Bryce Canyon region 2-3 nights it will dramatically increase (See Cloudy Weather Insurance) your chances of catching a clear night. January and March are our least cloudy winter months. If freezing temperatures are a deal-breaker for you, then plan for June or September which are the 2nd Bryce-est Night months with only a 20% chance of having a cloudy night. ﻿Days closest to the New Moon are the darkest nights.﻿ You will be able to see the Milky Way extend from horizon to horizon! If Venus or Jupiter are in the sky they will be so bright they will cause you to cast a shadow. Many famous deep space objects are visible to the naked eye - and stunning when viewed through our BIG telescopes. Similar levels of darkness can be experienced on nights 4 or more days after the full moon when you can enjoy 2-3 hours of high quality darkness before the moon rises. Realize that having a Full Moon in the sky is the equivalent of enduring the Light Pollution of 500,000 people. Q: So the Dark Rangers are Moon haters? A: To the contrary, we LIKE working full moon nights, ESPECIALLY when our guests have read these trade-offs about full Moon night below! Many deep space objects (galaxies, nebulae, exploded stars, etc.) are washed-out by moonlight, however our telescopes are large enough that we can still show you at least 1 example of each even on a full Moon. Just realize you are NOT catching us at our best when you book 4 days before a full moon thru 4 days after a full Moon. Yet, because we pride ourselves in offering YOU truly hands-on experience with our telescopes, we equip them with high-powered eyepieces and let you explore the lunar surface with 300-500x magnification, INCLUDING the Apollo landing locations. No, you won't be able to see "The Flag," but you will see detailed views of mountain ranges that rival most on Earth, craters so large they fill the eyepiece, and other uniquely lunar features. We Dark Rangers get so excited about these nights that we set up our very best telescopes and astronomy equipment and uncork our most unbridled enthusiasm. These nights are usually the first ones to fill up in our schedule because to the serious stargazers it doesn't matter how cold it could get, what phase our Moon is going to be in, or even what the chance of encountering clouds might be. These are the most sought after nights because these nights feature meteor showers, eclipses, transits, and/or anniversaries of triumphant moments in space exploration. What could be Brycer than that? Long after sunset occurs on the ground, satellites are high enough to still experience daylight. Though we can see several satellites each night, nothing is as impressive as seeing The International Space Station (ISS) fly over. When the sunlight bounces off ISS's huge solar arrays at the perfect angle with the ground, it can be even brighter than Venus as it crosses the sky. Joining us for one of these night is good planning! Occasionally ISS's orbit is adjusted, with thrusters being fired to avoid space junk or just increase orbital elevation -- this throws visible pass prediction out of wack, and it takes the experts, that we rely on, time to calculate new passes. and of course additional time for us to update this page. Finally, on a special night with this designation, we will focuses (that was fun) on the planets involved in a conjunctions or close approaches, and other special events. 2018 is an EXCITING year because there are so many conjunctions! Join us on these nights for an in-depth look at your favorite planet. JUNE (﻿﻿Summer) 9:15pm start time - Mercury visible all month! Sun. 16: Full Moon and Moon and Jupiter conjunction. Mercury visible all week! Tues. 18: Full Moon and Mercury and Mars on close approach (same eyepiece!) with Moon and Saturn conjunction. as we will be working for Badlands National Park and their Astronomy Festival Join us there for FREE! Once you picked your "Bryce Night" book that telescope tour here, or follow this link if you would prefer to book a private tour.